It was a night to savour for Life on 28th November 2012 at the Rx Club Show in New York where they won a total of 7 awards. 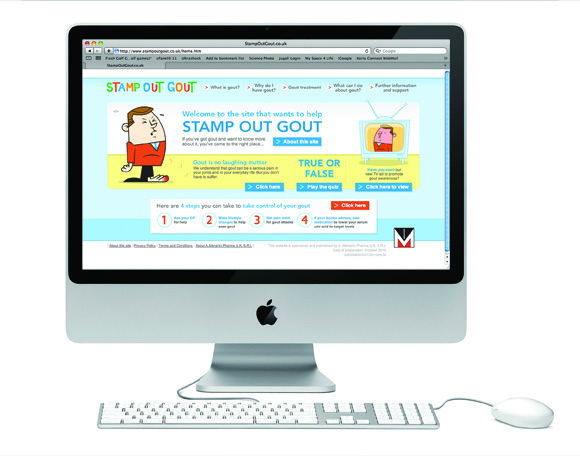 Life was awarded a Silver in the interactive category for StampOutGout.co.uk and client A. Menarini. Life also picked up 6 awards of excellence in the print category for Life self-promotion and for clients Galderma and Abbott. The Rx Club Show showcases the world's best healthcare advertising. For the 26th Rx Club, creative work was submitted by over 130 agencies worldwide. There was a total of 9 Gold and 26 Silver awards across print, video, interactive and integrated categories. Winning work from allcategories was displayed at the Metropolitan Pavilion in Greenwich Village, New York. Life is a creative communications agency dedicated to the healthcare industry. Our aim is to apply the ideals of consumer advertising to healthcare communications. We produce compelling ideas that inspire healthcare professionals to improve the lives of their patients.